When I first heard of acupuncture in medical school in the late 1960s, I became convinced that it worked. I read impressive media reports from China touting it for everything from pain relief to anesthesia for open heart surgery. Our Chief of Anesthesiology, Dr. John Bonica, was also convinced it worked and was studying it. As time passed, more and more studies were published, and Dr. Bonica eventually gave up on it. So did I. … when a treatment is truly effective, studies tend to produce more convincing results as time passes and the weight of evidence accumulates. When a treatment is extensively studied for decades and the evidence continues to be inconsistent, it becomes more and more likely that the treatment is not truly effective. This appears to be the case for acupuncture. In fact, taken as a whole, the published (and scientifically rigorous) evidence leads to the conclusion that acupuncture is no more effective than placebo. I pointed out that it seemed very unlikely that a treatment for pain would only relieve pain in the neck but not elsewhere in the body. I pointed out the difficulty of doing good acupuncture research, since appropriate controls are hard to find, double blinding is next to impossible, and there are many kinds of “acupuncture”—including electroacupuncture, ear acupuncture, cupping, and many other variants. I pointed out that it doesn’t seem to matter where you put the needles or even if you use needles at all; one study found that touching the skin with toothpicks was equally effective! All that really seems to matter is if the patient believes in acupuncture and believes he got the real thing. My opinion was confirmed in 2013 when David Colquhoun and Steven Novella reviewed all the published evidence and published an article in the journal Anesthesia and Analgesia.3 They found that “the benefits of acupuncture are likely nonexistent, or at best are too small and too transient to be of any clinical significance,” and they concluded that acupuncture is a theatrical placebo. Other publications and organizations, including the Medical Letter, the Center for Inquiry, and Sciencebasedmedicine.org have all declared that acupuncture is ineffective except as a placebo. It is often argued that even if acupuncture is only a placebo, it does “please” many patients (after all, the word placebo is Latin for “I please”) so it is worthwhile using it. People say it does no harm, but Ernst et al. found ninety-five reports of serious harm to patients; some but not all of these could have been prevented by better sterile precautions and better education in anatomy. There are other harms, including the waste of time and money, and patients may be tempted to use acupuncture instead of treatments that are truly effective. And of course, we wouldn’t give patients a sugar pill placebo. Where do we draw the line? Medical ethicists universally condemn prescription of placebos because it constitutes lying to patients. Studies have been done where patients were aware that they were getting a placebo, but the researchers presented placebos in a way that led patients to believe placebos were effective. Just receiving a pill from a doctor is an indication to patients that it is supposed to work, creating the kind of suggestion that is likely to produce a placebo effect. Acupuncture is “ancient wisdom” based on prescientific fumbling. The concepts of meridians and acupoints are mythical. They have never been detected by anatomists. The concept of a vital force, “human energy field,” qi, or chi is also mythical. Physicists have measured all kinds of energies down to the subatomic level but have never detected qi. Acupuncturists believe these myths and are so convinced that acupuncture works that they have tried to come up with a scientific rationale for how it might work. Remember Ray Hyman’s Categorical Imperative: “Do not try to explain something until you are sure there is something to be explained.” Acupuncturists were sure acupuncture worked, so they proceeded to propose all kinds of hypothetical explanations of how it might work. It was shown to release natural pain-relieving endorphins in the brain, but so do placebos! Endorphins are released in the brains of animals when a stick is thrown for a dog or when a horse is trailered. The gate theory of pain offers a physiological explanation for the previously observed effect of psychology on pain perception. Was it just counterirritant effects, like hitting your thumb with a hammer to make you forget your headache? In a 2000 article in a Japanese journal, acupuncture, moxibustion, and a hemostat on the tail were compared as pain blocks in mice. The hemostat on the tail won! Researchers have looked at neurovascular bundles, trigger points, connective tissue fascial planes, areas of reduced electrical impedance, and enhanced migration of nuclear tracers. The studies are flawed and inconclusive, and they contradict each other. No consensus has been reached. We already have a perfectly good explanation of how acupuncture “works.” It is a theatrical placebo that is very good at eliciting placebo responses. Patients are impressed by the surrounding ritual and the “ancient wisdom” mumbo jumbo. They get personal attention from a charismatic provider. Appointments are long, and patients relax. They respond to TLC and hands-on treatment. Providers make strong suggestions that acupuncture will relieve symptoms, creating expectations in the patients. There are no specific effects, but there are many nonspecific effects of the provider/patient interaction. A famous study of asthma patients showed that patients subjectively felt better with an Albuterol inhaler, a placebo inhaler, or sham acupuncture but were only objectively better on lung function tests if they had used the Albuterol inhaler. So acupuncture doesn’t work except as a placebo, but it is widely perceived to work. By 2002, 8.2 million American adults had tried it. It has been infiltrating our hospitals and medical schools and even affecting our laws. As Jann Bellamy wrote on the Science-Based Medicine blog, “we are all too familiar with opinion and whim beating out science in legislation and regulations.” There are state laws promoting auricular acupuncture for substance abuse treatment. Medicaid has reimbursed doctors and hospitals for acupuncture treatment of drug addicts. 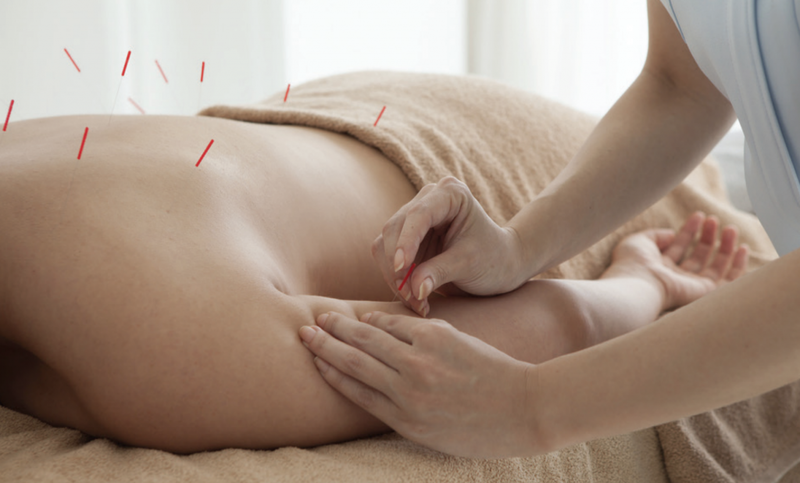 Many medical insurance programs cover acupuncture. The World Health Organization (WHO) recognizes acupuncture as an effective form of treatment. The National Center for Complementary and Integrative Health (NCCIH) says it is effective for back pain and a few other conditions. The Mayo Clinic recommends it and says, “Increasingly, it is being used for overall wellness, including stress management.” The Harvard Health Blog says it’s worth a try for chronic pain. The Cleveland Clinic says it is effective for various conditions. The American Academy of Family Physicians (AAFP) recommends it as first-line noninvasive treatment for back pain and says electroacupuncture should be considered for patients with fibromyalgia. And many other professional organizations support using it. What this boils down to is the difference between evidence-based medicine (EBM) as it is commonly practiced and science-based medicine (SBM) as it should be practiced. This was the reason we started the SBM blog, sciencebasedmedicine.org. For EBM, it is enough to have positive trials. They accept positive results of therapeutic trials based on fantasy, such as Reiki, homeopathy, and therapeutic touch. Trying to apply the tools of science to these therapeutic modalities based on fantasy just produces a lot of confusing noise. For SBM, we also look at other factors such as prior plausibility and compatibility with established science. There are many true believers in acupuncture. Personal experience is compelling. Patients who got better believe it works, but they may have succumbed to the post hoc ergo propter hoc fallacy (“after this, therefore because of this”). The rooster crowed, then the sun came up; therefore, the rooster made the sun come up. I got better after a treatment; therefore, the treatment made me better. That may be true, but sometimes it’s just as wrong as the rooster. The patient might have improved with no treatment, just from the natural course of the disease, or from some other factor that they don’t give credit to. Without a comparison control group, there’s no way to know. Acupuncture seems to be winning. Less-than-rigorous science is being accepted. Good evidence is being disregarded. A lot of patients and doctors are convinced it works.This has been called the Age of Endarkenment and the Post-Truth Era. But there is hope. Recently I gave a lecture at Ohlone College on “Evaluating Evidence in Medicine: What Can Go Wrong.” Among other things, I mentioned that acupuncture was a theatrical placebo. During the Q&A, I was challenged by a woman who insisted acupuncture had worked to cure her migraines and other symptoms. She was persistent and argumentative, determined to get me to agree that acupuncture did work. I finally told her it had been tested in large groups of people with controlled studies and shown not to work; if it didn’t work in those large controlled trials, why would it work for her? Maybe she was special? That got a laugh, even from her, but she kept trying to convince me that acupuncture really did work. That was very encouraging. It showed that the students understood my message and were able to apply it. Acupuncture may be winning, but if we can educate the public about science and critical thinking, we might be able to reverse the trend. The Skeptical Inquirer is one effort in the right direction.